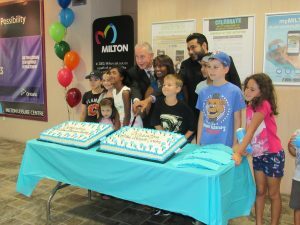 The Milton Leisure Centre, a major community hub, celebrated 25 years on Saturday. The anniversary coincided with the completion of roof renovations, and included free events for families. 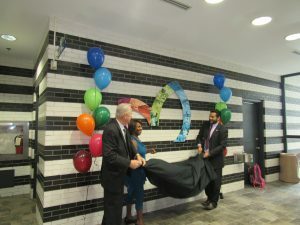 Milton Mayor Gordon Krantz, MPP Indira Naidoo-Harris, and Monty Fidda of the Ontario Trillum Foundation, which contributed to the roof restoration, all spoke at the event. A plaque was unveiled to commemorate the anniversary, and cake cutting followed. A wide variety of family friendly activities, including floor hockey, yoga, and swimming were held for free. The entrance hall to the Leisure Centre had a table with old photographs and newspaper cuttings displayed. According to Krantz, the Leisure Centre was built only relatively recently because the community relied on swimming pools at the Ernest C. Drury School For The Deaf. Two large cakes celebrating the centre were cut. The necessity for the Leisure Centre arose due to maintenance issues at E.C. Drury. The official opening of the centre took place on January 30, 1992, with phase II opening a year and a half later. The future of the Leisure Centre is likely to be more of the same – but the Milton community is rapidly growing. Krantz revealed that the Milton City Council had initiated a construction project for a new community centre and library, at the northeast corner of Main Street and Tremaine Road. The new centre will include swimming facilities, a fitness centre, and a gymnasium, and will be situated in a combined building to save on real estate. 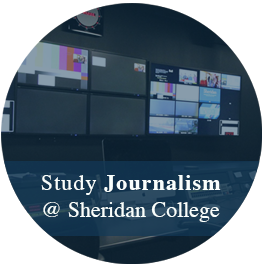 Journalism student with a passion for writing and music. Is online shopping killing retail?